Golfweek has released its 2016 lists of the Best Resort Courses and Best Residential Courses and designer Jack Nicklaus’ work was heavily lauded in the special issue. A total of 53 Nicklaus Design golf courses were recognized, including seven golf courses in the top-100 Best Resort Courses; 11 golf courses in the Next 100 Best Resort Golf Courses; 17 golf courses in the top-100 Best Residential Courses; and 18 golf courses in the Next 100 Best Residential Courses. A combined eight courses made the top 50 of their respective rankings. The Nicklaus Design courses to be ranked in the special issue are listed below. 30. May River Course at Palmetto Bluff, Bluffton, S.C.
37. Pronghorn (Nicklaus), Bend, Ore.
38. Ritz Carlton Golf Club at Dove Mountain (Saguaro & Tortolita), Marana, Ariz.
66. Ocean Course at Hammock Beach, Palm Coast, Fla.
71. Reflection Bay GC at Lake Las Vegas Resort, Las Vegas, Nev.
76. PGA National (Champion), Palm Beach Gardens, Fla.
Bay Creek GC (Nicklaus Course), Cape Charles, Va.
Grand Cypress (New), Orlando, Fla.
Grand Cypress (North/South), Orlando, Fla.
Greenbrier GC (Greenbrier), White Sulphur Springs, W.Va.
La Paloma (Ridge/Canyon), Tucson, Ariz.
Melrose GC, Daufuskie Island, S.C.
PGA West (Nicklaus Resort), La Quinta, Calif.
Rocky Gap Casino Resort, Cumberland, Md. 9. Castle Pines Golf Club, Castle Rock, Colo.
10. 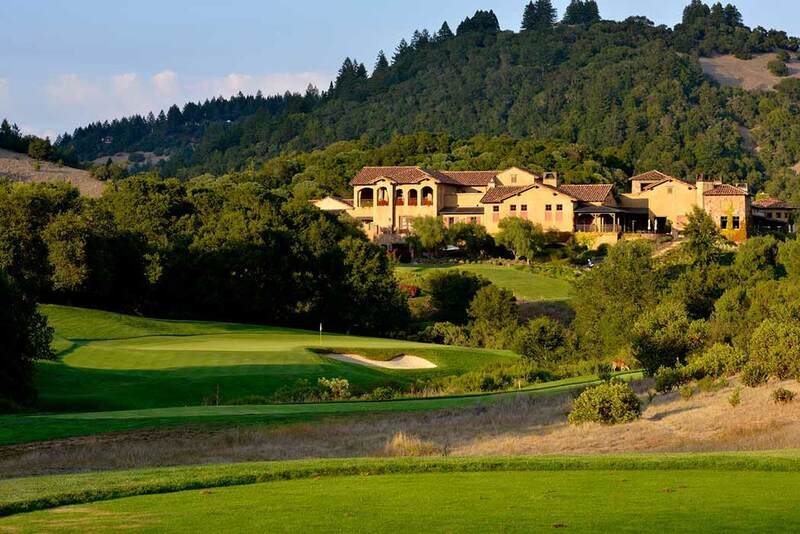 Mayacama Golf Club, Santa Rosa, Calif.
27. Concession Golf Club, Bradenton, Fla.
47. Dalhousie Golf Club, Cape Girardeau, Mo. 52. Horseshoe Bay CC (Summit Rock), Horseshoe Bay, Tex. 54. The Bear’s Club, Jupiter, Fla.
69. Desert Highlands, Scottsdale, Ariz.
75. Colleton River (Nicklaus), Bluffton, S.C.
79. Club at Carlton Woods (Nicklaus), The Woodlands, Tex. 82. GC at SouthShore, Henderson, Nev.
89. Reynolds Plantation (Great Waters), Greensboro, Ga.
90. TPC at Snoqualmie Ridge, Snoqualmie, Wash.
91. Loxahatchee Club, Jupiter, Fla.
92. Cliffs at Walnut Cove, Arden, N.C.
99. Desert Mountain (Chiricahua), Scottsdale, Ariz.
100. Creighton Farms, Aldie, Va.
Bayside Resort GC, Fenwick Island, Del. Cherry Creek CC, Arpahoe, Colo.
Cliffs at Keowee Falls, Salem, S.C.
Club at Porto Cima, Lake of the Ozarks, Mo. Coyote Springs (Chase), Coyote Springs, Nev.
Desert Mountain (Geronimo), Scottsdale, Ariz.
Desert Mountain (Outlaw), Scottsdale, Ariz.
Las Campanas (Sunrise), Santa Fe, N.M.
Las Campanas (Sunset), Santa Fe, N.M.
PGA West (Nicklaus Private), La Quinta, Calif.
Reserve at Lake Keowee, Sunset, S.C.
Superstition Mountain (Lost Gold), Superstition Mountain, Ariz. The Peninsula GC, Millsboro, Del. Toscana CC (South), Indian Wells, Calif.
Trump National GC Jupiter, Jupiter, Fla.